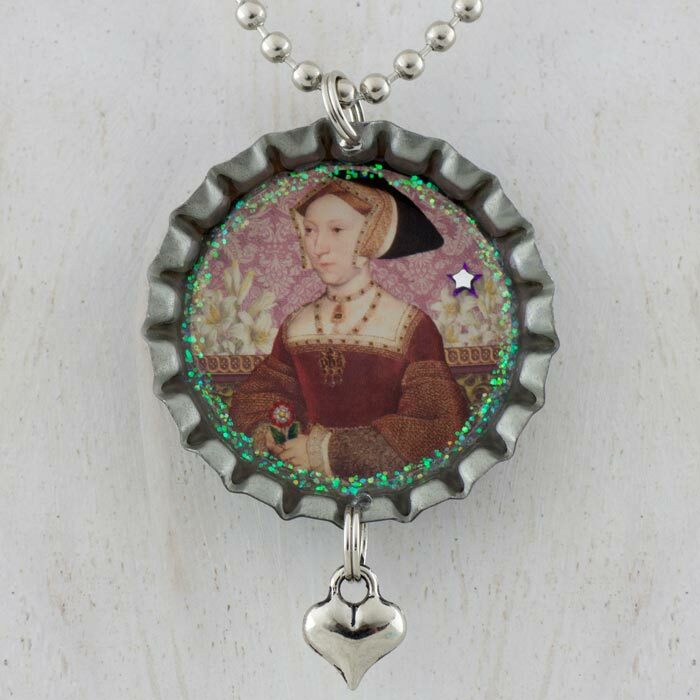 This beautiful, unique and collectible bottle cap Jane Seymour necklace features an image of Jane Seymour holding The Tudor Rose with pieces of an antique botanical of White Lily flowers and ornamental papers and bookplates. One of the symbolic meanings of White Lilies is "chastity and virtue". The Pendant comes with a 24 inch nickel plated silver bead chain that you can easily cut to your desired length.